The wall is coming along, I should be able to show you a picture of it more or less done tomorrow, British Summer Time permitting. 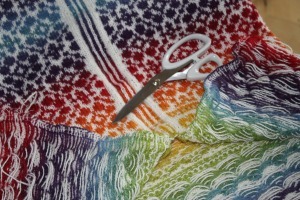 This entry was posted in Knitting and tagged Finished things, Jumpers. Bookmark the permalink. My goodness she is growing up! 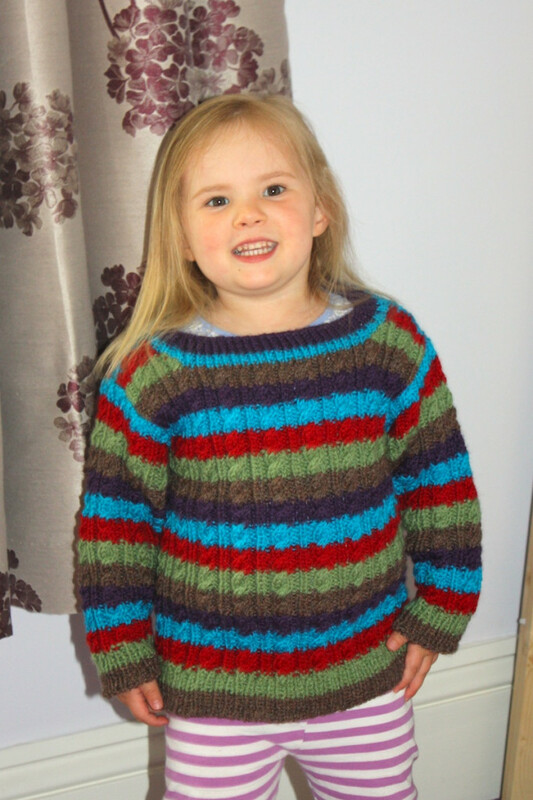 Jumper looks lovely on her too. Thank you. Don’t I know it – she’s off to nursery in September. She wouldn’t stop bouncing for me to take her picture! Jumper looks great and so does the little imp wearing it.